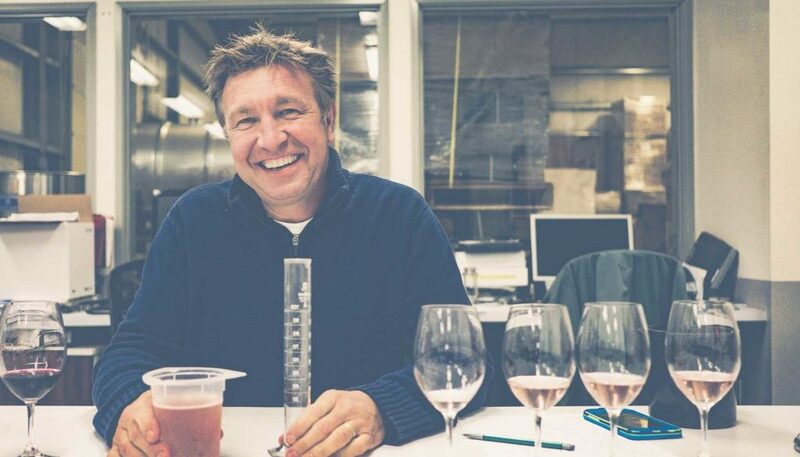 Q&A with our Director of Viticulture and Winemaking Bruno Corneaux. As with all of our team, Bruno’s journey to the Pacific Northwest has taken twists and turns through self-discovery and diverse experiences around the world. Kudos to you, Bruno! What was your first ever wine experience? I have a very specific smell and visual memory of my first real experience with wine. I was four or five years old and I was in my family’s cellar in Meloisey France. My Grandfather was pressing Pinot Noir skins in his basket press. I vividly remember sticking my glass under the spout of the press and catching some freshly pressed wine as my grandfather tightened the press from above. It was the culmination point of all the work that my family had into farming that vintage, and I can still smell that glass of Pinot Noir in my mind. Farming grapes and making wine were just a way of life for my family, I didn’t know any different, the winery was a gathering place for us, it brought the family together. 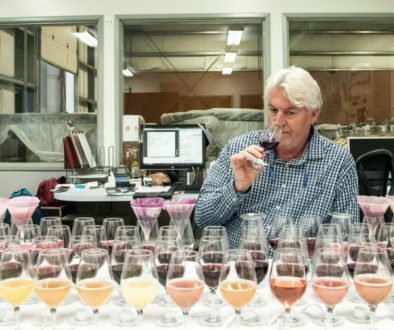 When did you look at making wine as a career? Later in life, than one would expect, especially growing up so entrenched in wine culture. I was in my early twenties and working in a pharmacology lab doing research, and I would take vacations to help in the cellar during harvest at Domaine Denis Carré. Every year that I would help, I would stay a little longer and longer until eventually, I was managing the cellar. The combination of the work and the sensory exploration that you must do to be in wine pushed me to go back to school, so I went to the University of Dijon and studied viticulture and enology. From there, I’ve had the amazing fortune to work around the world, growing grapes and making wine. How has being a grape grower and winemaker shaped your perspective? Winemaking opened up a world to me. Growing up in the cellar in the small village of Meloisey, I felt very restricted, the world felt small. After I went back to school, I realized that with this knowledge and skill of winemaking I could literally work anywhere in the world. Winemaking has definitely opened my eyes and instilled a need to discover and learn. As a winemaker you have to be open to any possibility, nature is really in control. From the vineyard to the winery we are just shepherds in this process; we have to be open to any possibility to make the best wine possible. As we roll into longer, sunnier days, what are you drinking now? Rosé and white wines, primarily Chardonnay. Cool-climate white wines are usually what I go for if I’m in the mood for a glass by itself. 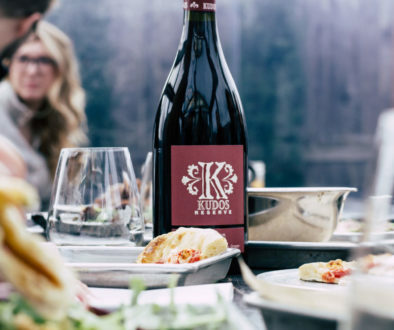 They have vibrant acidity that is not only refreshing, it carries the wines, which not only makes them great by themselves, but they pair so well with the foods that we are eating this time of year in the NW. Since I was born, my life has been surrounded by Pinot Noir and Chardonnay, so most of what I cook is centered around pairing with those wines. Honestly, I’m usually drinking wines that have a personal connection to me. Either made by friends or from regions where I have worked. Wine is so great in its way that it transcends just being alcohol. It is a connection to a year, to a climate, to the earth and of course to the people that made it. My first experience of winemaking in Oregon was in 1996 when I was a harvest intern at Domaine Drouhin Oregon. That was only 32 years into the Willamette Valley wine industry and I was amazed at the camaraderie and shared drive of the community. Everyone was happy, they were all trailblazing, doing something brand new to the area, and they were doing it together as a community. 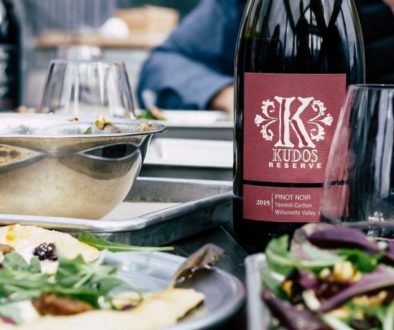 If one winemaker found success in what they were doing, it was shared and the entire Oregon Industry evolved. I really believe that is why such amazing wines are grown here, and why Oregon has the reputation that it does. It is all in the foundation of trying something new, learning, evolving, sharing and doing it again.